If you old floor sweeper hasn’t met the grade and you’re looking for a floor sweeper for sale take a moment to consider Alphaclean. Commercial floor sweepers of the past are usually lacking the power to clean efficiently or completely. With Alphaclean you can be assured that our floor sweeper models can handle all your cleaning needs. 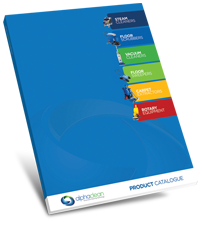 You can use Alphaclean’s online store to locate the best floor sweeper that meets all your business needs. There are currently two ranges in Alphaclean’s model line – the B series and the G series. Yet to be released is a third series that is designed to larger spaces. When looking at floor sweepers you have the option to purchase either a push along sweeper or a ride on sweeper. The ride on models are very popular, so much in fact that Alphaclean is launching another ride on series, the R Series. Each floor sweeper will have an exact list of specifications that describe their intended use. Information on the area each model can handle will also be available so you can make the best decision on your purchase. Customizations are also possible when you buy a floor sweeper from Alphaclean. Please contact us if you have any questions about a model or specification. At Alphaclean we take pride in assisting clients with their purchase and that their floor sweeper will last for many years in your workplace. We are delighted to welcome you into the Alphaclean family. Alphaclean also guarantees amazing customer service and will source spare or replacement parts for your floor sweeper. If a part cannot be supplied in 48 hours a courtesy floor cleaner will be provided until your machine can be repaired or parts procured.